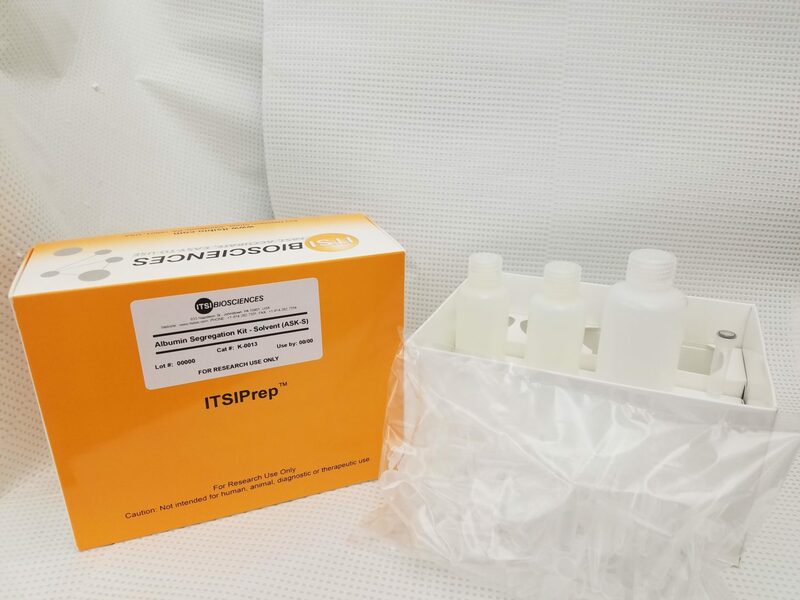 ITSIPrep ASKs (K-0013) is a validated and cost effective organic solvent-based protocol for selective depletion of albumin (Alb) from serum and plasma samples and analysis of the albumin-enriched fraction (Alb+) and albumin depleted (Alb-) fractions. More than 85% of albumin is depleted from whole plasma using the ITSIPrep ASKs Kit and Protocol (see Figure). This protocol has been tested and successfully used to improve the chances of revealing lesser abundant proteins in the Alb- fraction or albumin-associated proteins in the Alb+ fraction. 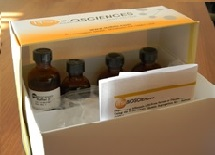 Treated samples can be analyzed by electrophoresis (1D-PAGE, 2D-PAGE, 2D-DIGE), mass spectrometry and western analysis.